The AMD E2-9000e is a budget-class laptop processor (CPU). You can find it in various affordable notebook models. 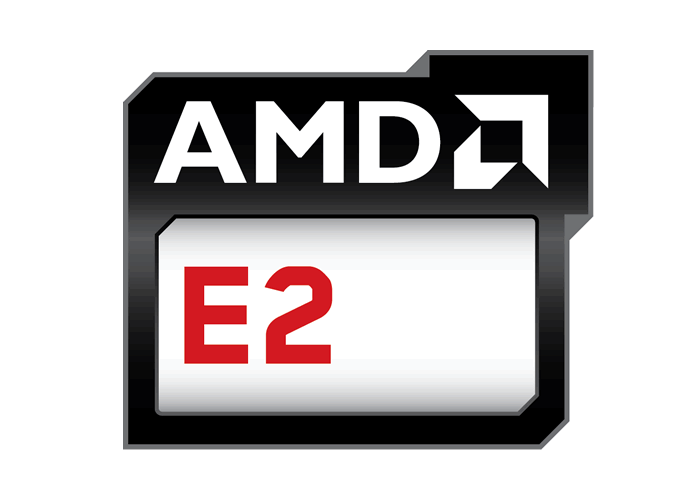 The E2-9000e is a dual-core chip with clock speed of up to 2 GHz and 1MB of cache. These modest specs mean the CPU can deliver basic computing performance, which is suitable only for non-demanding PC tasks like web browsing with small number of browser tabs running simultaneously, light work in MS Office apps, or video / audio playback. The chip is not suitable for heavier duties like content creation. On the positive side, the E2-9000e has a power consumption of only 6 Watts, meaning that it is battery life friendly. 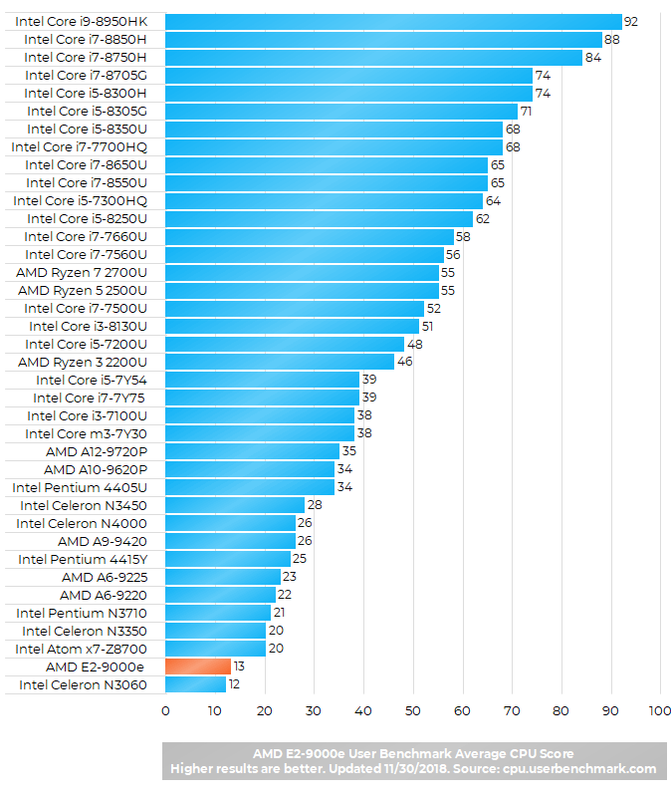 As expected, User Benchmark CPU test puts the AMD E2-9000e near the bottom of the CPU score list. However, the E2 is slightly faster than its direct competitor by Intel – the Celeron N3350. This processor struggles to get anything done. Whether you’re simply just browsing websites or using Microsoft Word for your work, it’s not worth it. Absolutely horrible and not worth the purchase. From my personal experience, the processor is just about enough to run Windows 10 but anything else, no. I’m really glad I found this review and it really helped me alot. I got a Windows 10 HP laptop to replace my old Windows 7 laptop on X-mas day and was confused why my old laptop could handle certain programs better than my new one? Don’t get me wrong my old laptop would randomly freeze whenever i would play a game or watch a video but when it wasn’t doing that it was working fine. So i decided to do some research and i figured out my CPU was the AMD Processor E2-9000e and looked at some reviews and only now did i figure out how horrible it was. honestly i wouldn’t recommend anyone this CPU to anybody if you need a CPU don’t get this one It’s slow, Buggy and just a general nuisance wouldn’t recommend at all. Well its certainly pathetically slow chip. Battery life isn’t going to fix the terrible experience using this chip. Dell is using this chip in cheap 11″ 3000 series replacing the Celeron 3060 but its not a big improvement for sure.